Gavin: Hey guys, first off, tell us a little bit about yourself. Andrew: ToySoup is myself and Troy Taylor. 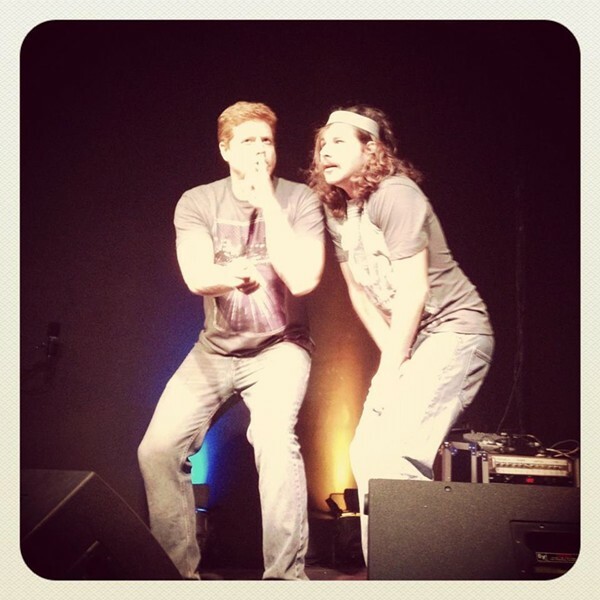 We use a combination of short form and long form improv styles to entertain the masses. Troy comes from a standup background having started performing at the age of 15. I grew up acting and still love to perform in local independent films around town. Gavin: What first got each of you interested in stand-up comedy, and who were some of your favorite comedians growing up? 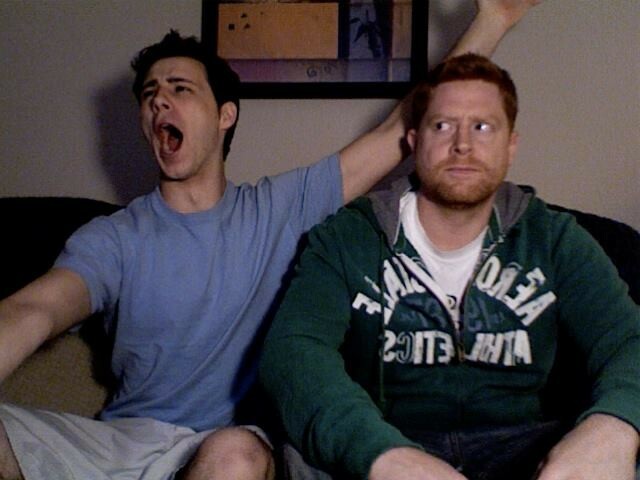 Andrew: I became interested in comedy after growing up in a family with seven children and being starved for attention. Troy was just looking for something fun to do on the weekends. We were heavily influenced by comedians like Steve Martin, Bill Murray, Robin Williams and Jim Carey. 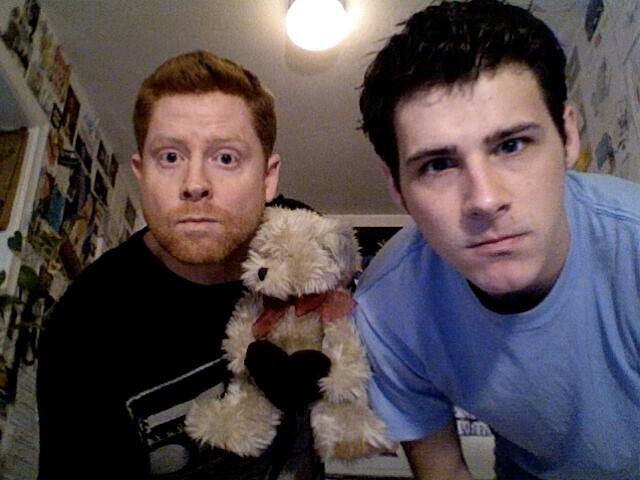 Andrew: We met each other about 12 years ago when performing in different improve comedy troupes, Quick Wits and KYSoff. Our comedy troupes were actually competing against each other during combined comedy shows. Sparks flew, our relationship blossomed, and we moved in together. The rest is history. Gavin: How did the idea come about to form a comedy duo, and where did the name come from? Andrew: About five years after we met, we were both performing with Quick Wits and often performed at the same time. We realized our comedy style complemented each other well and thought we might try touring to nearby states as a comedy duo. We decided to combine our nicknames to name our duo ToySoup. Troy had previously gone by the name Troy “Toys” Taylor and I had been nicknamed “Soup” for my love of Superman. 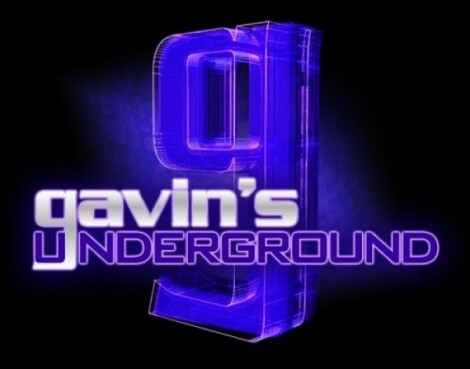 Gavin: What was it like breaking into the local lineups and getting gigs? Andrew: At first it was difficult since many local comedy shows only featured stand-up comedians, but we weren’t performing within a large improve troupe either. We started performing at Mo’s Bar and Grill and looking for opportunities at open-mics. Gavin: What were some of the lessons you learned about performing as a team? Andrew: We’ve learned to utilize our different styles of comedy. One of Troy’s strengths is how he uses physical comedy to entertain the audience. I come from an acting background so I usually try to weave a story during our performances. It’s fun to have two of us on stage to bounce ideas off of each other. Beer also helps us stay on the same page. Gavin: How was it coming up with material and deciding what works and what doesn't? Andrew: Since we do improv comedy we don’t come up with specific material. We have learned from past performances what the audience often responds to. Yet we try to challenge ourselves by trying new things every time we perform. Gavin: You've won a number of awards over the years for your performances. How has it been traveling out of state and gaining recognition on a national level? Andrew: We have really enjoyed traveling and getting to know comedians in a variety of different cities. There are so many talented people doing new and inventive types of comedy. Seeing the audience respond so well to their performances has motivated us to continue to try new things. Gavin: What do you hope to achieve as a comedic duo that you might not see if you were individual performers? 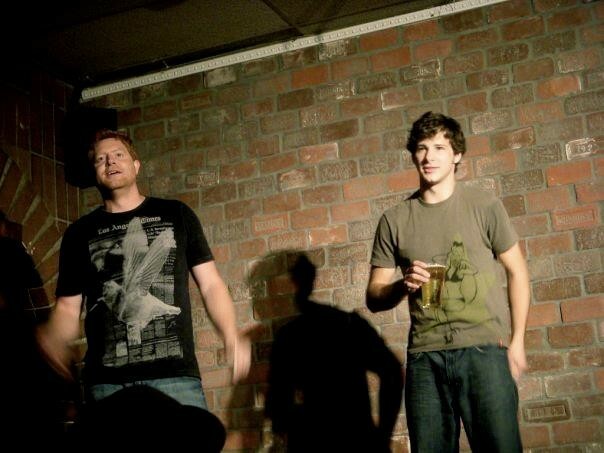 Gavin: Going local, what's your take on the standup scene, both good and bad? Andrew: We have a great underground comedy scene in Salt Lake and have met a lot of talented people that do standup. At first, it seemed to be a challenge organizing shows together since the combination of standup and improv is rarely done. But we’ve realized that the audience responds well when there is a variety of comedy styles in one show. Andrew: Everyone needs to network and promote each other. The more people support the local scene, the more it will grow. Gavin: Beside yourselves, who are some of your favorites you like to check out around town? Andrew: We love everyone. We’re improvisers; it’s part of our DNA, but there are some that we can’t miss an opportunity to perform with, including Christopher Stephenson, Natasha Mower, Melissa Merlot, Jason Harvey and Jackson Banks. Andrew: We love the opportunity to work with local club owners to organize comedy shows. They are often happy to have more people brought in and we are always excited to perform at venues with a good stage and a flowing bar! Andrew: Seeing a positive response to national comedians shows us that there is a crowd in Salt Lake looking for good comedy. We want to tap into that and be able to put on quality performances that people want to see. Andrew: Look for us performing all over the valley. We often do performances at Sugar Space and Lumpys South. We’ll also be working with Christopher Stephenson again this year to put on the SLC Comedy Carnivale in the fall. Andrew: We’ll be performing Feb. 13 at Lumpys South for the Pre-Valentine’s Day Variety Show.